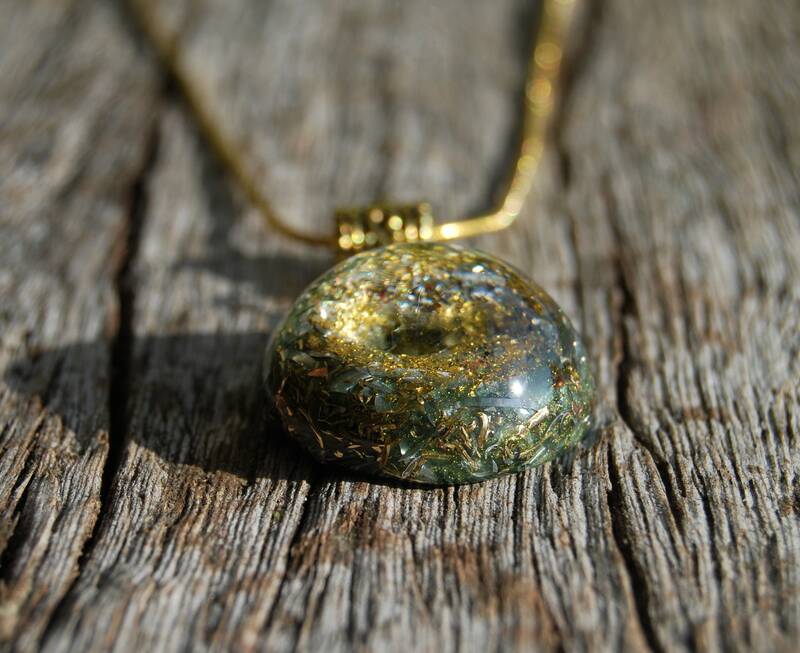 This lovely 2.7 cm / 1.1 in diameter Orgonite® pendant contains brass, bronze aluminium, copper shavings and 24K leaf Gold. 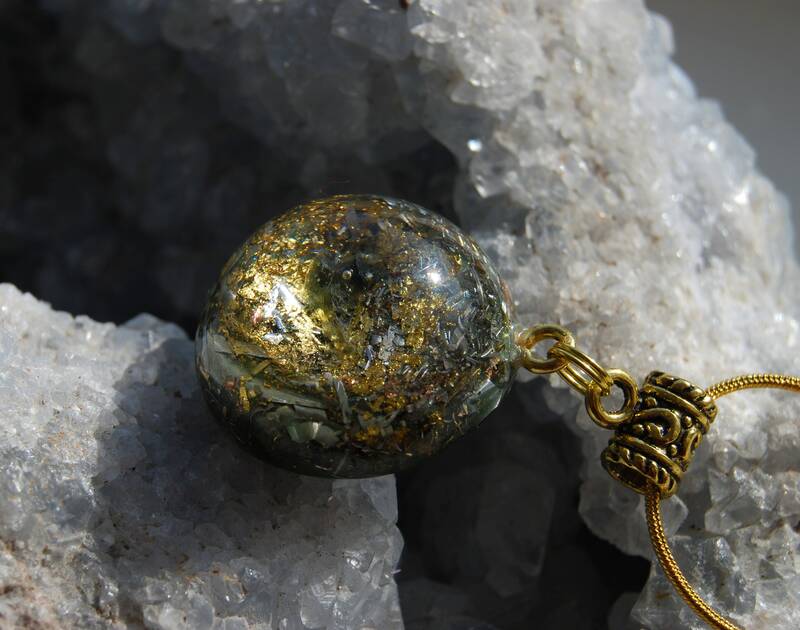 It also contains genuine Moldavite from Czech Republic in the front, a small clear terminated quartz crystal (in the back for piezo electric effect), Rhodizite crystal (to amplify), Pyrite (protection),Elite (protection), black Tourmaline (to protect and ground excess energy) and Selenite (to clean and charge other crystals) all within a transparent resin setting. 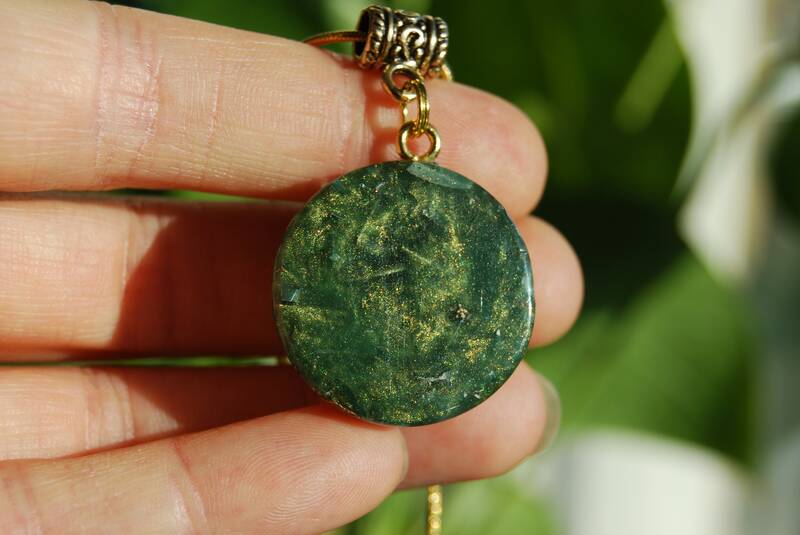 The Moldavite piece that is in this particular pendant is from Czech Republic and is authentic. 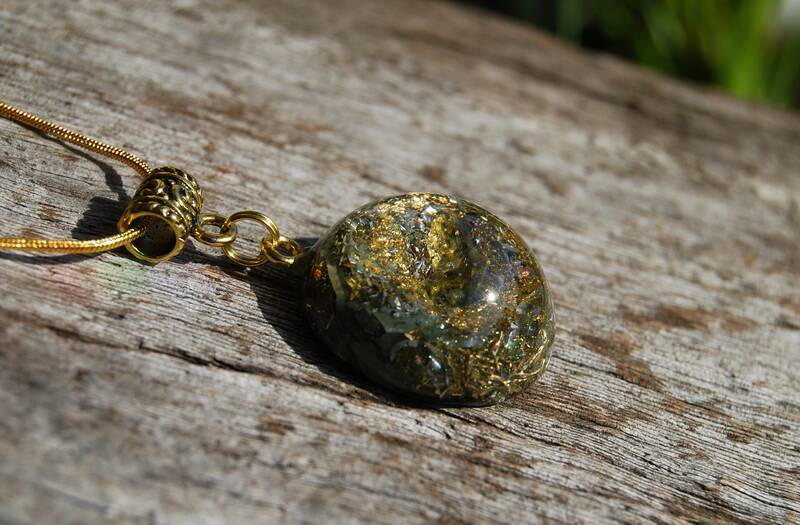 Lately there is a lot of fake Moldavite about which is often glass and not the real deal. A meteorite of enormous size and incredible impact is known to have crashed in the Czechoslovakian mountain region around 15 million years ago. 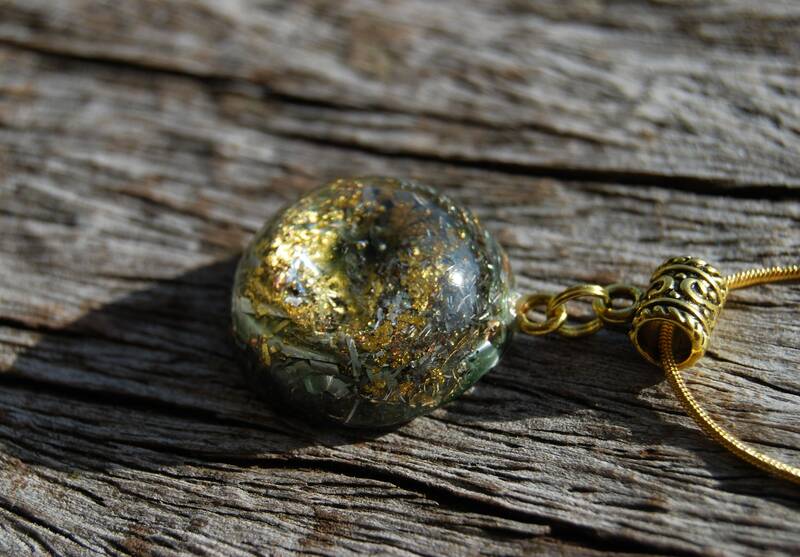 This event is believed to have created melted material that fell to earth and created these beautiful green crystals. 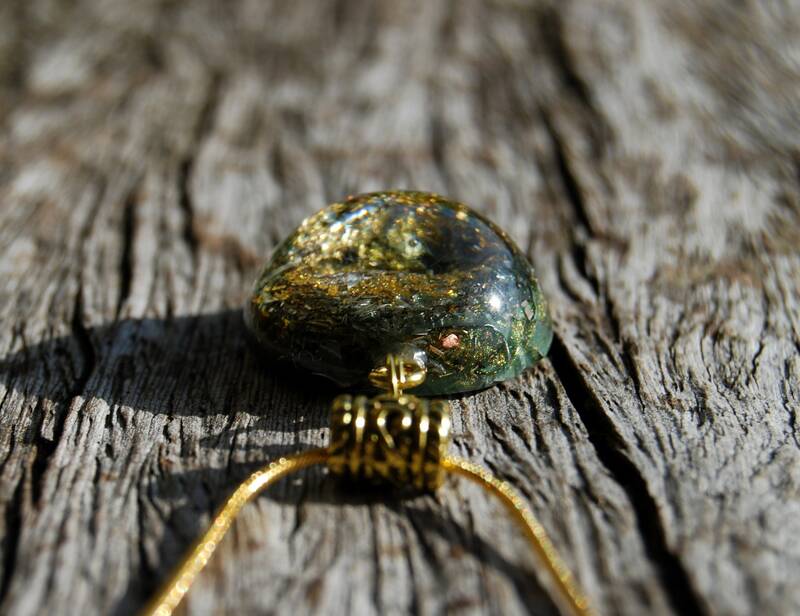 These natural green crystals are powerful stones for transformation, as it is thought to be the stone known as "The Holy Grail Stone." It is an amazing crystal to create change in your life. 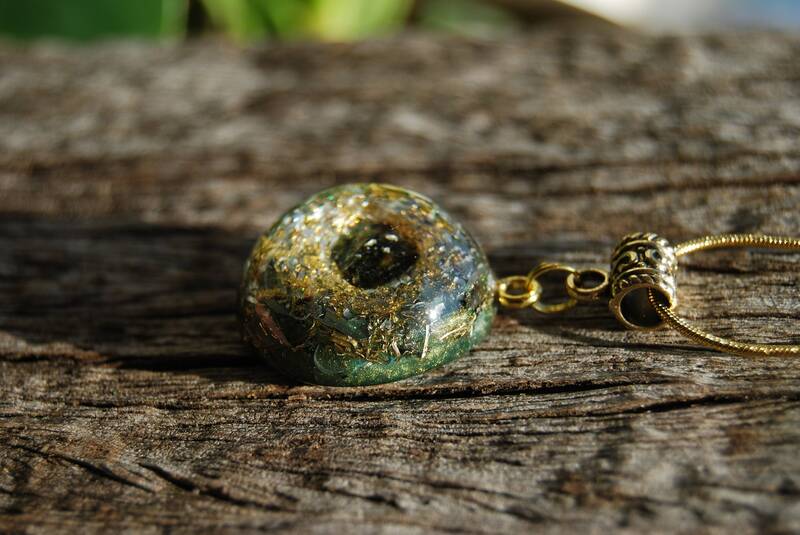 It is one of the best stones to use for psychic protection as negative entities find it difficult to connect to your aura when you are wearing it. 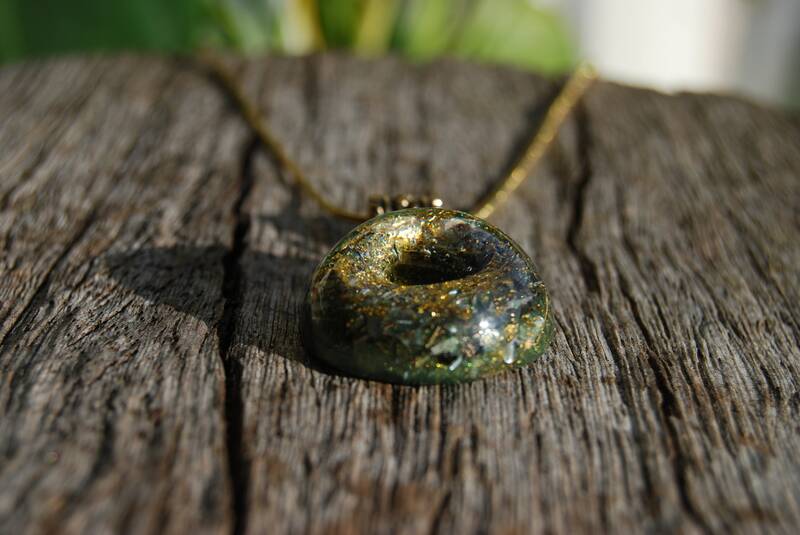 It comes on a 20 inches /52 cm 18K Gold plated necklace with lobsterclasp closing. I love this. It's so super pretty and feels amazing. It's perfect for any occasion and so wonderfully made. 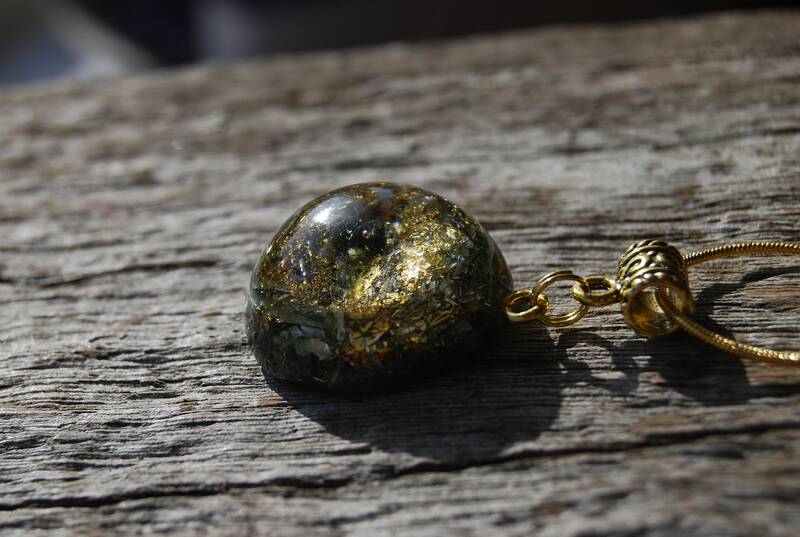 I am so happy with this pendant! 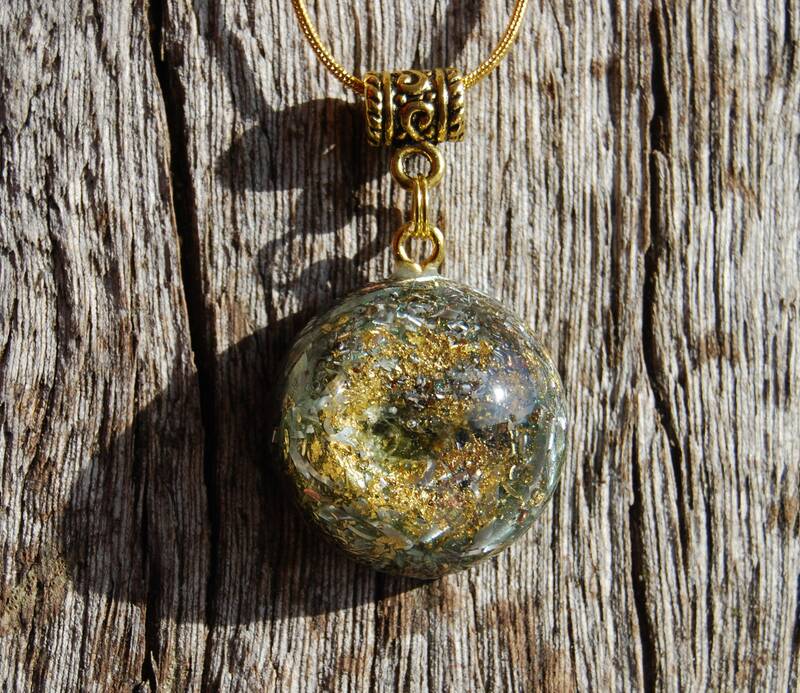 It is one of the most beautiful orgone pendants I've seen, the picture doesn't do it justice. Thank you!